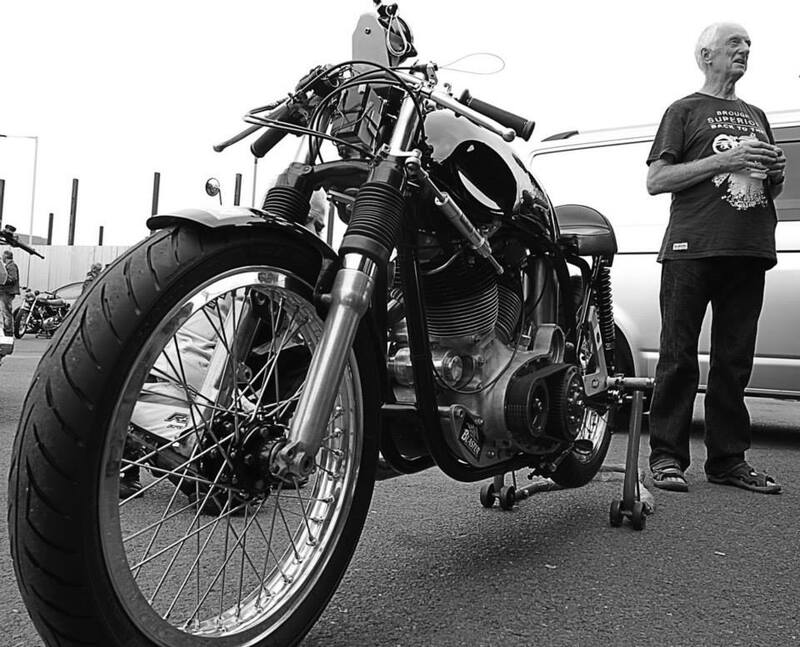 At The Ace Café today – myself and video man Gerry Jenkinson, interviewing Eric Patterson as he unveils his tuned Viscount before final dyno testing with John Renwick, then dispatch to Bonneville Salt Flats. It sounded very fine. 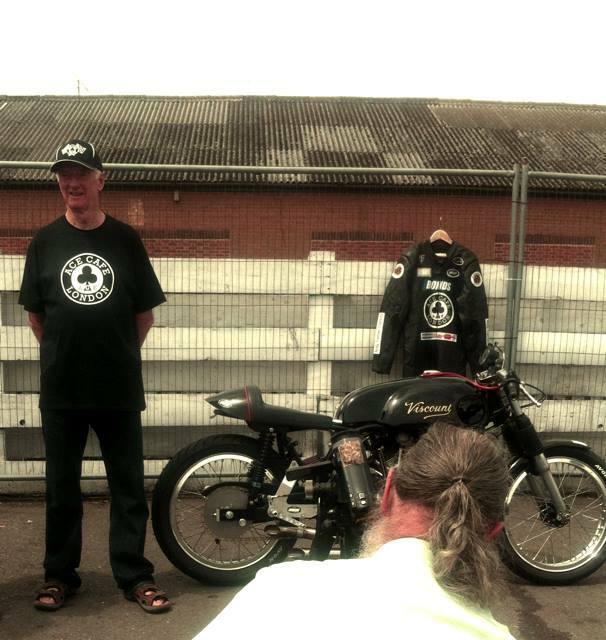 Eric has already set several records on the Salt: first on a Jap-powered Norton, latterly with the official Brough Superior team. 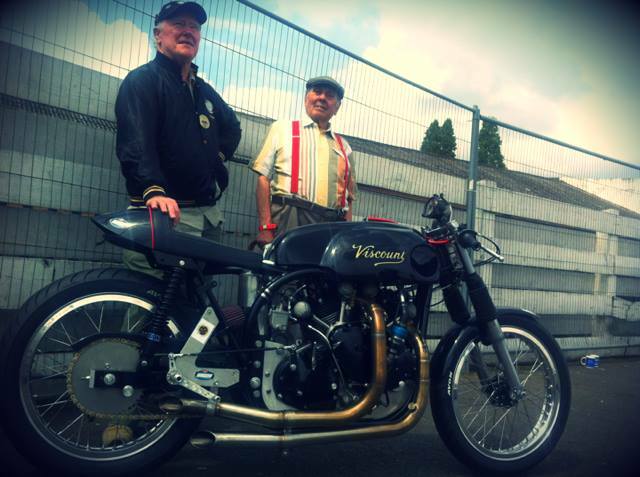 The Viscount was a short-run Vincent-Norton special, aimed at production, which came out of the stables of 50s racer Peter Darvill and dealer Somertons. It was owned from new by VOC West London member Peter Ross. With hat and red braces is Peter Ross’s riding buddy Tony Wheatley. 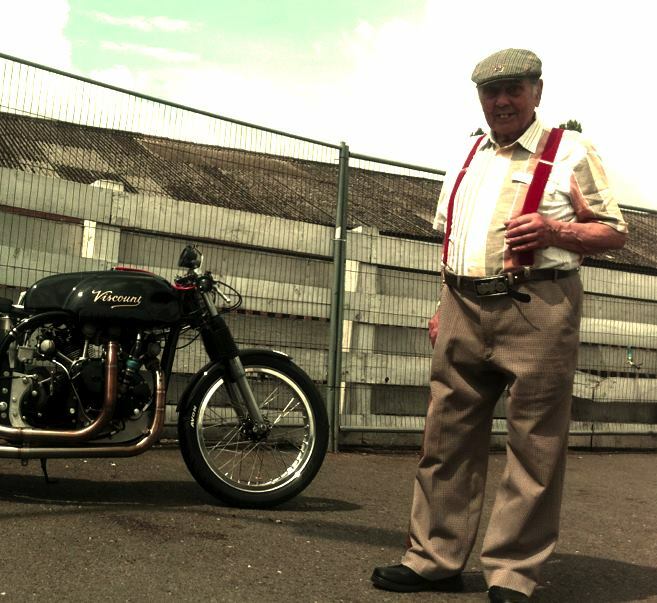 A Vincent owner since 1951, he recounted riding up with Peter on a 250 Enfield GT to collect the Viscount in 1961 – and trying to follow him on the way back on the Enfield. As those of us who followed Peter on the Viscount know, he didn’t hang around. Great story and history. Good luck Eric and team. Deserving the name ‘Beast’! 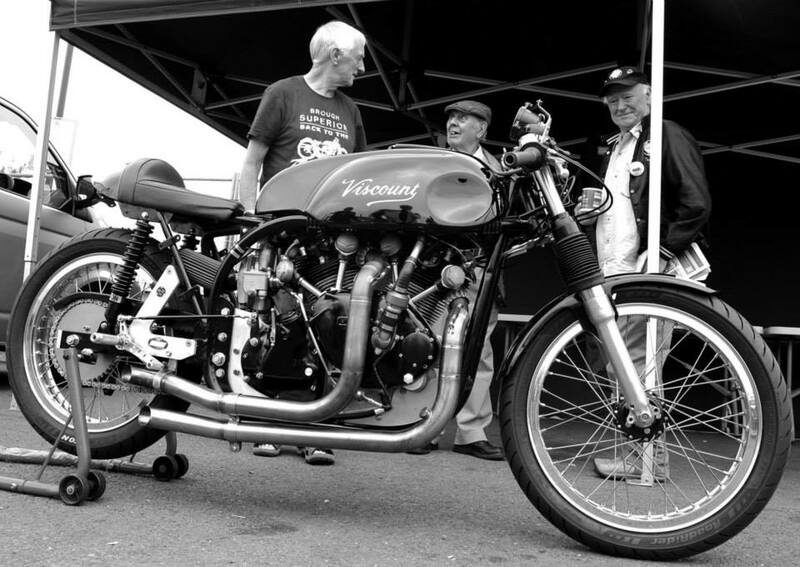 A fantastic animal…Eric mentioned he’d take this to Bonneville this year, as no Brough team for 2014 (they’ll be back in 2015). Fantastic. I wonder if the handlebar brake lever applies the rear brake? The left side photos don’t clearly show a foot brake lever, at least to me.